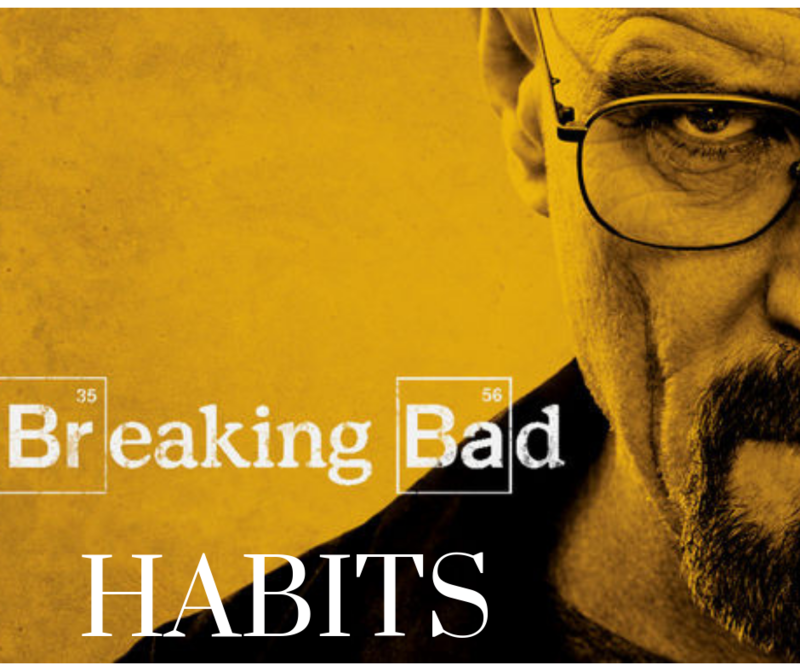 A habit is essentially a recurrent pattern of behaviour. When in ‘habit’ mode, the brain switches to ‘automatic pilot’; where the sub conscious largely drives behaviour. It’s repetition over time which automates behaviour into routines that are hard to change. Habits have good, bad and ugly aspects. The Good: Habits are essentially economical. They help our brain conserve energy through the automation of once difficult tasks (think driving a car, flossing your teeth). The Bad: Often habits can make us ‘stuck’ to a certain ‘way’. In particular, ‘correcting’ something undesirable that has become a habit is often very difficult (think pushing the snooze button on your alarm)! The Ugly: These include usually long standing habits that are very bad for our health/well-being. They usually include underlying dependencies (for e.g. substance addiction). So how can we break a habit? Breaking habits is not something that can be accomplished by taking a whimsical approach. Below, I’ve provided a helpful guide. As you’re reading, perhaps reflect on how you may apply this to your own situation. ‘After a long day at school, Stuart settles down to study Maths. Not long after he commences, he thinks to himself “I’m bored” and feels edgy. Instead of working, he decides to open up Facebook messenger. 25 minutes pass… Despite realising he has lost valuable study time, Stuart shrugs and thinks to himself ‘Oh well, I have no control over feeling bored when I study Maths’. So what could Stuart do to break this habit? In essence it’s about understanding and managing the four key components underpinning habits: the Cue (what leads to the routine), routine (the behaviour of the habit), reward (the positive feelings from the habit) and the belief (the ensuing thought reinforcing the habit). Is the cue internal or external? The first major consideration is to understand and catch the cue resulting in Stuart’s procrastination. In particular, identifying whether the cue is ‘external’ (i.e. from his surrounding environment) or ‘internal’ (i.e. from his own thoughts & feelings). In the case of Stuart, the cue is ‘internal’ given the thought “I’m bored” is the essentially the catalyst to his procrastination. For Stuart to catch and identify this internal cue, he would need to be ‘mindful’ of specific thoughts and feelings, and accurately identify what actually kick-starts his procrastination routine. If he is unaware, he will have little hope of being able to intervene. What if it’s an ‘External’ Cue? Consider for example, the cue was instead Stuart hearing and responding to a message alert. In this case, the cue leading to Stuart’s procrastination would be an ‘external cue’. Managing external cues makes things a lot easier, as they can simply be removed from the immediate environment. In this alternative scenario, the easiest way for Stuart to stop his subsequent procrastination would be to shut down messenger or disconnect the internet. However, in the present case, Stuart’s ‘internal cue’ (i.e. the thought “I’m bored”) cannot be removed in the same way an external cue can be; it can only be managed. Practising mindfulness to be more aware of thoughts and feelings (this can help put one in the ‘driver’s seat’). Committing to ‘just starting for 10 mins’. Breaking the task into smaller and more manageable parts. Here, Stuart should ensure he rewards his new routine, otherwise, it will probably be short-lived. Specifically, Stuart should only reward himself directly after implementing his new routine. He should also ensure that the reward provides him with adequate incentive to stick with this new behaviour. This primarily concerns replacing ‘old thinking’ with ‘positive thinking’ to support the new routine. In Stuart’s case, it would be to adopt the belief that he can allay his boredom by using the suggested process. Perhaps he could choose to think “I do have control over my boredom and will not let it ruin my study”. Clearly there are many variables to consider in the outlined steps for changing habits. For instance, choosing a successful routine can be a case of ‘trial and error’. Therefore, it would be important to trial a variety of routines and ultimately use the ones that yield the most success. I hope you found this article useful. Please ‘like’ – or better still – ‘share’ if you enjoyed.